Riding, mini-golf, diving, windsurfing, water skiing, kitesurfing, go-karting and a tree adventure course are all activities which are available close to Camping L’Oasis***. There are many opportunities for enjoying walks in our region and for having a great holiday. Traditional fishermen’s cottages and Catalan boats can be seen at the harbour at Le Barcarès. The 8 kilometre beach of fine sand, which has been a Blue Flag beach for several years now, is a real dream for holidaymakers. 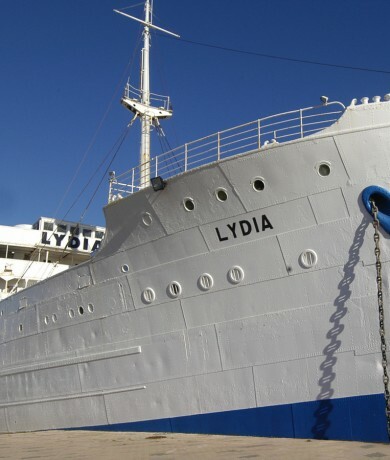 The beached boat ‘Le Lydia’ is a unique exhibition and cultural space located between the Mediterranean and the Pyrenees. 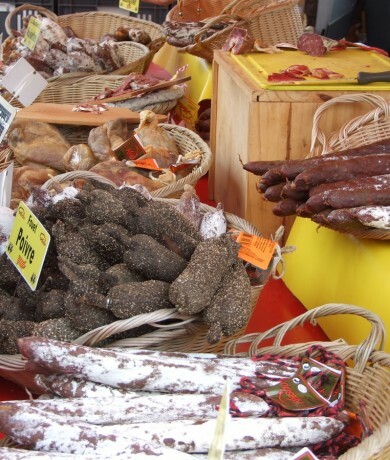 Le Barcarès has a large market on the village square on Wednesday, Friday and Sunday mornings. You will find Catalan produce and fruit from Roussillon here in a beautiful range of colours and all smelling of sunshine. You can also enjoy the market at Le Lydia on Monday and Thursday mornings and at La Coudalère on Tuesday mornings. Shopping: Le Perthus, a village on the French / Spanish border. Counted amongst one of the most beautiful villages: Castelnou: a medieval village. Collioure is a traditional fishing village. Many artists, including Picasso and Matisse, have been inspired by this little gem. The whole family will enjoy the animal park in Sigean. You will discover over 3000 animals here, from lions and giraffes to pink flamingos! The ‘Orgues d’Ille sur Têt’ (rocks sculpted by running water and erosion).